A friend is doing some research on estrogen and estrodial in water samples in Delaware. We have about 50 sub-watersheds that show the upstream contributing area for each water sample. We’ve done some regression analysis to see if we can find any correlation of estrogen with landscape parameters, like land use. Geography students collaborating on data collection for a research project. Notice there are no windows in this lab – this is the best way to get students to want to go to graduate school so they don’t have to work like this again! what if there is a relationship with the number of poultry houses upstream of each sample. The bad news: we don’t have a layer of poultry houses in Delaware. The good news: I have a bunch of eager students who want to learn GIS. The solution: Let’s use a lecture to teach students about multi-user, simultaneous editing with Postgres and PostGIS, and have them do it. After 1h 40m, the students had around 1,000 poultry houses digitized! And, as a learning experience, they had the opportunity to see how an enterprise class database could be stood up in a matter of minutes to facilitate mult-user digitizing. It blew their mind to realize that after 2 hours, we had actually put in 36 man hours of digitizing. They had never used QGIS before, and it only took an 8 minute video to spin them up on the project! This was easy to do, excited the students to be exposed to multi-user editing and open source GIS, and accomplished an important task for a research project that an individual student is working on. Everyone wins! I hope this inspires you to come up with some creative ways to introduce GIS concepts to your class. Great work by my undergraduates, Again! You’ve heard about how good my undergraduate GIS students are here, here, and here. Oh yeah, and here and here. Well, over the last few years my undergraduate students have been working with the campus Department of Horticulture by surveying the Salisbury University campus under the direction of Dr. Dan Harris. Did you know our beautiful campus is a registered arboretum? Starting with my student Waverly Thompson two years ago, they surveyed all the trees, sidewalks, sprinkler heads, light poles, pretty much anything you can think of with survey grade instruments. This past summer Zack Radziewicz, Josh Young, and Lindsey Pinder turned that survey work into a beautiful cartographic product, and yesterday put the map online here. Zach has an art background (he’s also an awesome GIS student) so that really helped, and Josh has been helping me lead professional workshops in Postgres and Python. Lindsey is a rising GIS star in our Department, so keep an eye out for more posts about her. It never ceases to amaze me how good our undergraduate students are here at SU. I’m proud of the work they do, and so thankful to get to work with them each day. Great job Waverly, Thompson Zack, Josh, and Lindsey. P.S. While I was in Korea and Dr. Harris was in Brazil, on their own, these students turned the entire map into a 3D visualization – I’ll post that soon. The Maryland’s Geospatial Conference (#TUgis2017) is on March 20/21, 2017. I first attended TUgis in 1990, and it is always a great conference. It is not too large, so it is great way to have extended time with people. So, if you had a technical question for someone from say ESRI, you could simply stop by their booth and have a chat. This year I was asked to support the pre-conference workshops. I will be presenting two workshops with the help of my students. If you recall, my students are quite good at instructing others about GIS technology. I’m really looking forward to the conference and interacting with people during the workshop. Keep in mind, this is not something we are just throwing together – we’ve been spending a lot of time thinking about how to effectively move people through the material so that beginners do not get lost, and more technically savvy people are sufficiently challenged. We are fanatical about making sure people’s learning experience is excellent. 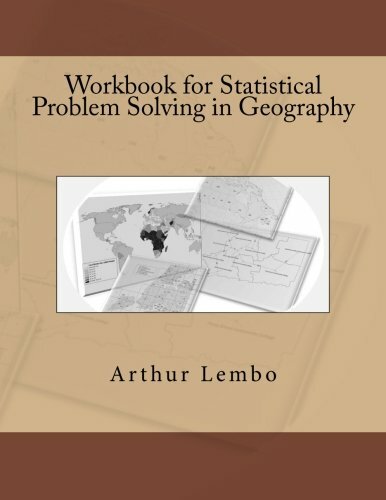 Spatial SQL: A Language for Geographers: Are you stuck in a rut of only knowing how to use a GIS GUI? Do you want to learn how to automate tasks, but are afraid of computer programming. 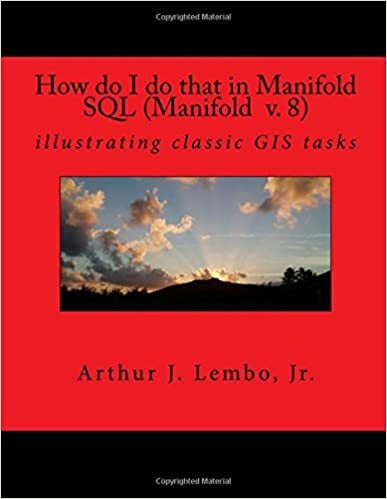 If so, SQL is the most powerful tool you can learn to help you perform complex GIS tasks. This hands-on course is designed to teach you how SQL can replicate many database and GIS tasks. We will start at a very basic overview and then proceed to more advanced topics related to GIS. For this class, we’ll be using spatiaLite which is the spatial extension used with SQLite. This is a great way to get started, as it is very similar to the functionality of Postgres/PostGIS. If you want to move to enterprise GIS with Postgres or even Oracle or SQLServer, you’ll be in really good shape. Python for Geospatial: If you are in the field of GIS, you’ve probably heard everyone talking about Python, whether it’s Arcpy in ArcGIS or special Python packages for doing things in open source. In this hands-on workshop you will learn how Python is used to perform GIS analysis. The workshop will be an introduction to Python, with emphasis on integrating multiple Python plug-ins with ArcGIS and open source GIS. If you want to learn more about how to use GIS technology, check out the 9 courses at gisadvisor.com. We plan to put our results on a shared GitHub site (we are in the process of cleaning up the code) so that people can start experimenting with it, and use our example to begin generating more parallel solutions for QGIS (or GDAL for that matter). Today I want to introduce you to another one of my really great undergraduate students: Jeff Scarmazzi. Jeff participated in the SUSRC conference that I posted about previously, but unfortunately, his photo and poster got deleted from my camera, so I never posted information about his project – I may eventually get around to posting Jeff’s poster, but for now it will have to wait. Jeff is an exceptional student, and at this point can run circles around me with PostGIS, Leaflet, and Postgres – at the moment, I am still reserving the right to say that my spatial SQL is better than his, but that may not be true. And, now that Jeff secured a prestigious internship with NASA over the summer, once the Fall rolls around it definitely won’t be true! What I wanted to show you was a short presentation that Jeff gave on his work with Postgres and PostGIS in my Advanced GIS class. For this project I had students create a geodatabase with ArcGIS that includes domains, subtypes, topology rules, etc. Jeff decided to extend his work on this assignment and recreate the same kind of features using Postgres and PostGIS. This presentation is just a small piece of what Jeff and his fellow students (Austin Barefoot, Carl Flint, and Jordan Roose) created, and focuses specifically on writing triggers and creating roles to automate and quality check digitizing procedures using Postgres. The presentation is only about 15 minutes long, and you’ll be amazed to see what you can do with PostGIS to creating robust editing rules. Warning Shameless plug: In case you wanted to learn how to implement PostGIS in an enterprise setting, check out my online course here. Also, I have another course on how to write spatial SQL with PostGIS here. our merry band of 12 undergraduate GIS students presenting their research posters at SUSRC. Today was the Salisbury University Student Research Conference (SUSRC). I love the SUSRC because it represents what is so great about Salisbury University: the undergraduate experience. Our university prides itself in giving undergraduates a graduate school experience. As a friend once told me, when you come to Salisbury University, you’ll find yourself in the lab, with a Professor, with a PhD. Many of you know that I have been working with parallel processing for GIS in the form of video card general purpose, graphical processing units (GPGPU). However, this year I decided to change things up a bit, and focus more on CPU based parallel processing. To that end we began working with Hadoop along with spatial Hadoop. In the posts, I will tell you what we did, how we did it, and we will also assemble our code. So, spoiler alert: Yes, we actually took a classic GIS process that required days to complete, made some adjustments to complete the process in hours, created our own cluster of 4 computers with 16 CPUs to complete the problem in minutes using parallel processing, and finally, went all-out, and rented time on the Amazon EC2 server to complete the job in the realm of seconds (BTW, the rental time on EC2 cost around $5.00 to complete the job). But first, I want to introduce you to the undergraduates that I worked with on this project with me. This summer, as part of a National Science Foundation (NSF) Research Experience for Undergraduates (REU), I spent my summer with two very smart guys: Alan Young, and Robbie Stancil. A Junior Math and Computer Science major, Robbie is an extraordinary student. If there was something you could do in college, Robbie did it. Just some of the things Robbie has done in 3 years at Salisbury University include being part of the Bellevance Honors Program, a Presidential Citizens Scholar, a Bellevance Honors Student Ambassador, Resident Assistant (RA) for the Honors Living Learning Community, Salisbury University student member of the Alumni Association, and the 2013-2014 Manokin Hall Residents Council Treasurer. 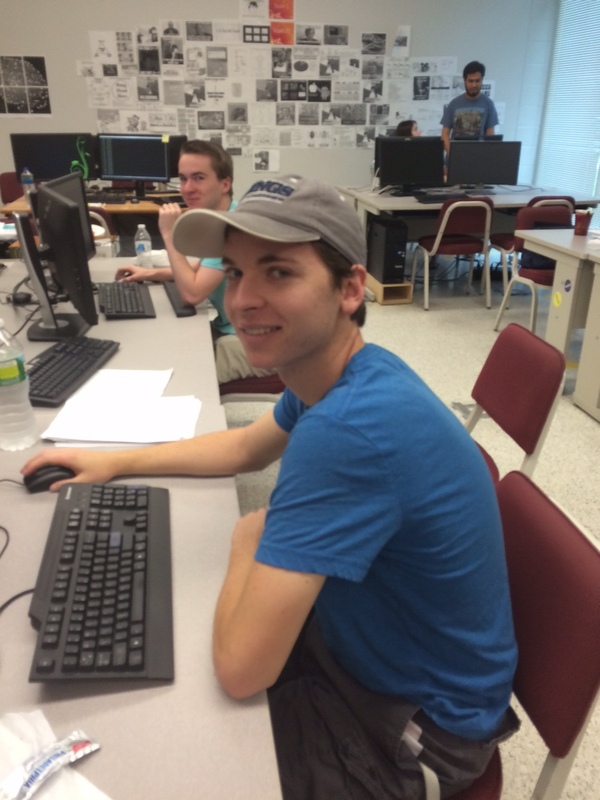 Outside of academics, Robbie has also held internships at NASA Wallops Flight Facility, and ADNET Systems. As you might imagine, Robbie’s name has become a fixture on the Dean’s list at Salisbury University. He sort of reminds me of when I was a student, with the only difference being my writeup would have said, Art Lembo was a mediocre college student, drank beer his freshman year, and was not smart enough to get a scholarship in college. Other than that, we’re practically identical. Alan Young comes to us from Berry College in Georgia, where he is a Sophomore Math and Computer Science major. Alan holds multiple scholarships at Berry, including the Berry Academic scholarship, and the Georgia Zell Miller scholarship. He has a job in the IT Department at Berry College, and is also involved in a number of organizations on campus including the math club, computer science club, and the Baptist collegiate ministries. 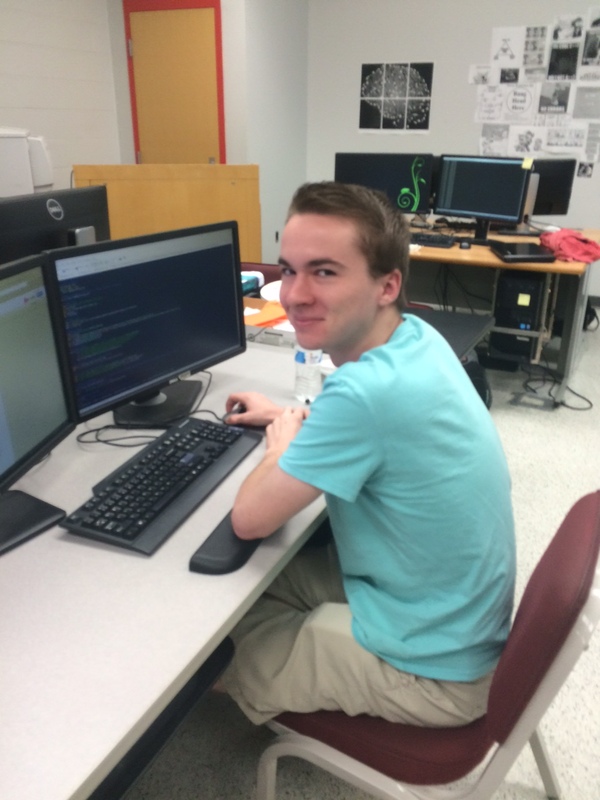 Alan has participated in a number of computer science programming competitions. It is hard to believe he has only completed his Sophomore year in college! Both of these guys are exceptionally smart and hard working students. I loved working with them. While I am thrilled that Robbie will be here next semester as a student, I am so sad to say goodbye to Alan as he returns to Berry College. I can’t wait to start writing recommendation letters for these two in the next couple of years. My next post will go over the problem we faced, the data we used, and the roadmap we set for ourselves. Stay tuned.